The island of Sri Lanka is easily one of the most underrated places you can travel in in Asia, yet Sri Lanka offers so many opportunities for touristy things to do that you may find it a little difficult to fit everything in a 2-week vacation! If you’re traveling to Sri Lanka between the months of May and December, you don't want to miss taking up the opportunity to enjoy a whitewater rafting excursion or kayaking trip down the majestic Mahaweli River, which is the longest and most challenging river in Sri Lanka. You definitely have to be an experienced rafter/kayaker to go on the Mahaweli River. However, if you’ve never done rafting before, you’ll still be able to enjoy a rafting or kayaking trip on other Sri Lankan rivers such as the Walawa River or Kelani River in Kithulga (most popular whitewater rafting destination). Whitewater rafting tours can take anything from 90 minutes to 3 hours and cost around $35 (including safety jackets and helmets). 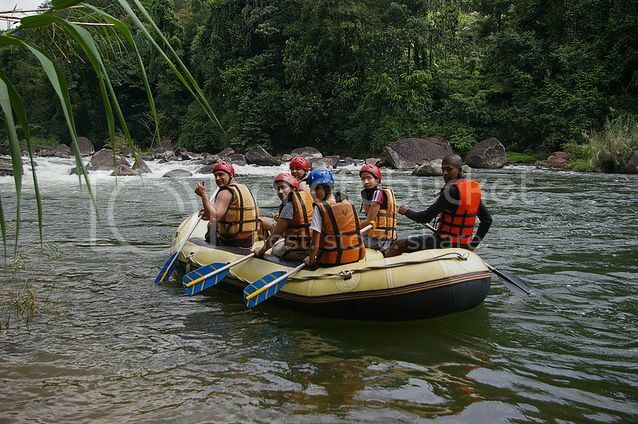 Tour operators offering rafting excursions include “Red Dot Tours”, “Sri Lankan Expeditions”, and “Sri Lanka Ecotourism”. One of the coolest and most enjoyable things tourists do for fun in Sri Lanka is going on a scenic plane ride for a bird’s eye view of Sri Lanka. On the SriLankan Air Taxi you’ll also be able to easily visit tourist spots in Sri Lanka such as Kandy (home to the Temple of the Sacred Tooth Relic), Bentota (home to the Brief Garden), Pidurutalagala (tallest mountain in Sri Lanka), the fortified city of Galle, Trincomalee (home to the Koneswaram Temple), Sigiriya (Lion’s Rock), and Anuradhapura (home to a huge white stupa called Ruwanwelisaya). 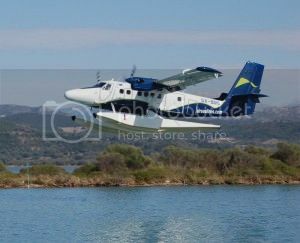 Scenic flights on the SriLankan Air Taxi depart from Colombo and cost roughly $80 (~10,500 LKR) for a round-trip ticket depending, of course, on the destination. A visit to Sri Lanka would, of course, not be complete without going on a wildlife safari tour in the country’s national parks. Wilpattu National Park (in Puttalam) and Minneriya National Park (in Girithale) are all great places to get close to wildlife, though Yala national park has to be one of the best spots in Sri Lank to see wildlife! Yala may be the second largest park in Sri Lanka but it offers the best opportunity to see wildlife such as the wild boar, elephants, sloth bear and leopard in their natural habitat. Yala national park is also home to a ton of bird species, crocs, giant squirrels, monkeys and tortoises that you'll certainly need at least 2-3 days at the park to see it all. 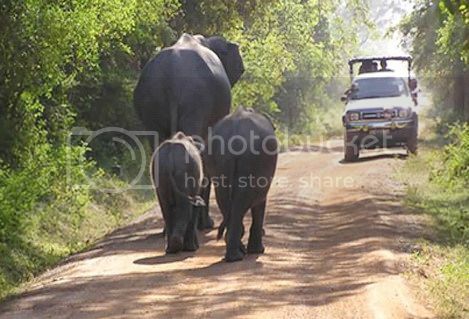 Safari tours of Yala national park cost around $70p/person for a full day (including entrance fee to the park). 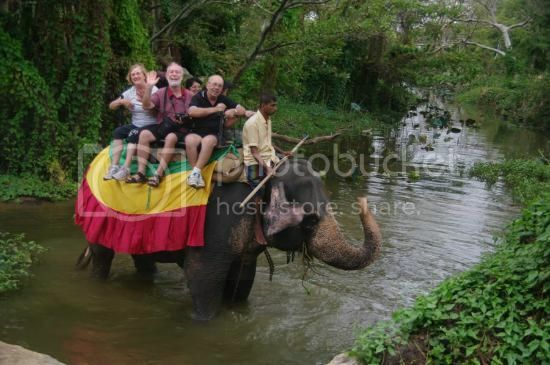 Tour operators offering excursions in Yala include “Ajith Safari Jeep Tours” and “Walkers Tours”. Climbing to the top of Lion’s Rock is definitely something else worth adding to your itinerary if you plan to be in the Central Province of Sri Lanka. 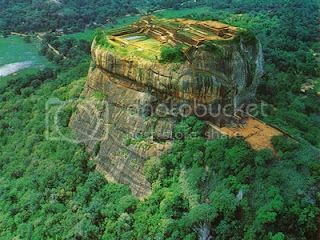 Lion’s Rock is over 1,200ft tall and boasts the remains of a fortress that was built on top of it back in the 5th century! The hike to the top isn’t too difficult and even though it takes around 60 minutes, the climb is totally worth it because of the rewarding panoramic views you’ll get of the area around. By the way, don’t miss taking photos of the frescoes of the beautiful women decorating the rock face of Lion’s Rock and, also, do the elephant ride nearby. 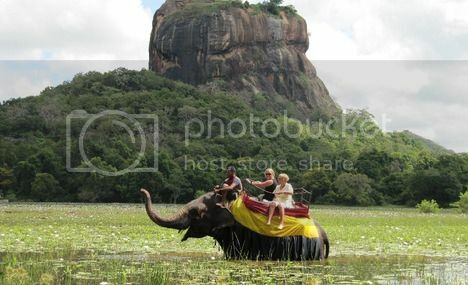 Elephant rides are certainly one of the most popular things tourists do for fun in Sri Lanka and what better place to enjoy a ride on elephant back than Habarana? 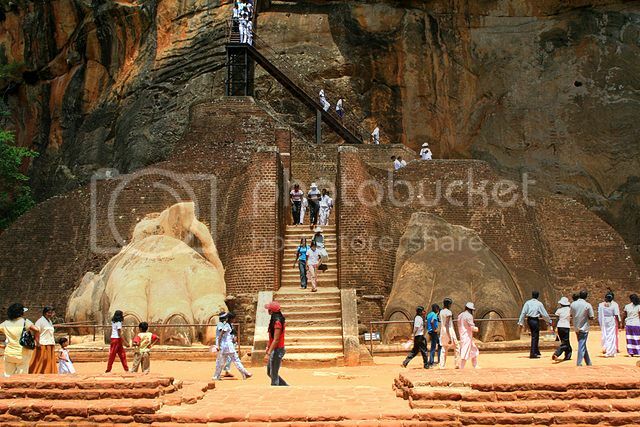 The small town of Habarana is a great location for an elephant ride because of its close proximity to Sigiriya, Minneriya National Park and Dambulla, all of which are just a short bus ride. Habarana is also great for elephant rides because of the beautiful jungles nearby and riverine terrain that allows elephants to wade through the waters. Best time for an elephant back safari in Habarana is during the spring and summer months (Mar thru July). When visiting Sri Lanka you cannot pass the opportunity to visit the elephant orphanage in Pinnawala to see the world’s largest concentration of captive elephants. The visit to Pinnawala Elephant Orphanage will be easily one of your trip highlights of Sri Lanka because you’ll get to see up close elephants bathing and elephant calves being bottled fed by the carers. Entry to the elephant orphanage is around $15 and you can easily reach it by bus from nearby Kandy town (takes around 80 minutes by bus).